Do you already have a Smartphone? or Want to buy a new Smartphone? If so, read smartphone buying guide before buying a new one. Because the purchase of a good phone is not easier. There are many popular android apps also available that you must want on your phone. You will get all information you need to know about a Smartphone before buying a new one. So, do check out. Now, If you are new Android user and want to know the most common or popular Android app, then you will get your answer in this post. 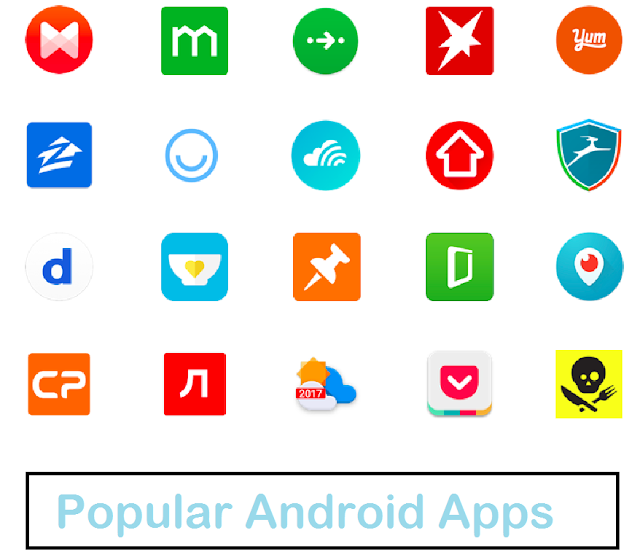 There are millions of apps available on Google PlayStore in different categories. So, it's very difficult to find out which one is best and which one is not good. In this article, I am going to share with you a 10 must have an android app on your smartphone. If you have purchased a new smartphone then install this below-listed app. We all know that Facebook is the most popular social network site. So, If you have bought a new phone, then install this app on your phone. Facebook is the leading communicating app on google play store. Facebook allows you to stay connected with your friends, family, and clients right from your Phone. Millions of people downloaded this app on their smartphone. With the Facebook Android App, you can send messages to anybody on your friends’ list anytime, and you can do real-time chat too. You need just to install Facebook messenger app. This app also offers you the option to update your status and photos. You can watch videos, playing games and read news also. If you are looking for the best messenger app, then install this app. Almost, every smartphone users have this app. You can download it from Google Play store. Using Whatsapp, you can do a free voice call, video call. You can also send a photo, video, file, etc. Over 1 billion people download this app. Google duo is a simple app to do Video calling. If you want to do video call usually then you must download this app. This app will be very useful for you. You can also do Audio call as well. Gone are those day transferring file through Bluetooth. Now you can send a file through Wifi using Xender app. This is a most popular file sharing app. You can send any file from your phone to your friends phone easily within a minute. File sharing through Xender is faster than Bluetooth. So, you should have this app on your phone. If you need an additional video player, then you can install this app. MX Player is the most popular video player app. It has a lot of features. You can try this app if you are bored using your default app. Do you love to shop online? If so then I am pretty sure you already know about Flipkart. So, download this app on your phone. This app will help you to get things done more easier and faster than ever. Another most popular shopping app is Amazon. So, this app also you should have on your phone. You don't need to enter URL in your browser if you have this app. Hotstar is a best live streaming app that lets you watch your favorite shows, movies, sports & live news on-the-go. It is a best entertaining app till date. You must have this app on your phone. You can watch live cricket match using this app with HD video quality. Gaana is the best music app till date for listening music, I think so. It is the best solution for all your Music needs. You can download it for free from Google Play Store. You will get free unlimited access to all your favorite Hindi Songs, Regional Music & Radio Mirchi. Do you love to listen to music, then Gaana is the app for you. You don't need to download songs for listening. Picsart is a unique photo editing app. It's most loved editing app by people. I would say, It's a mobile version of computer photoshop. You can do a lot of things using this app. You will get a free sticker, clipart, etc. Over 100 million people have downloaded this app. So, if you love to edit photos then install this app on your phone. So, these are the most popular Android apps which you should have on your phone.